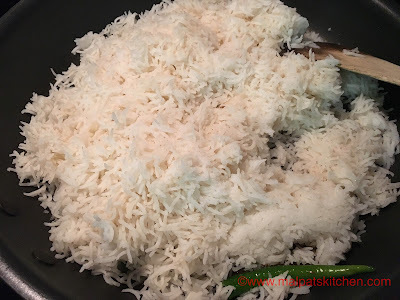 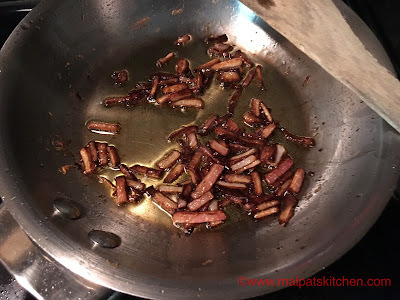 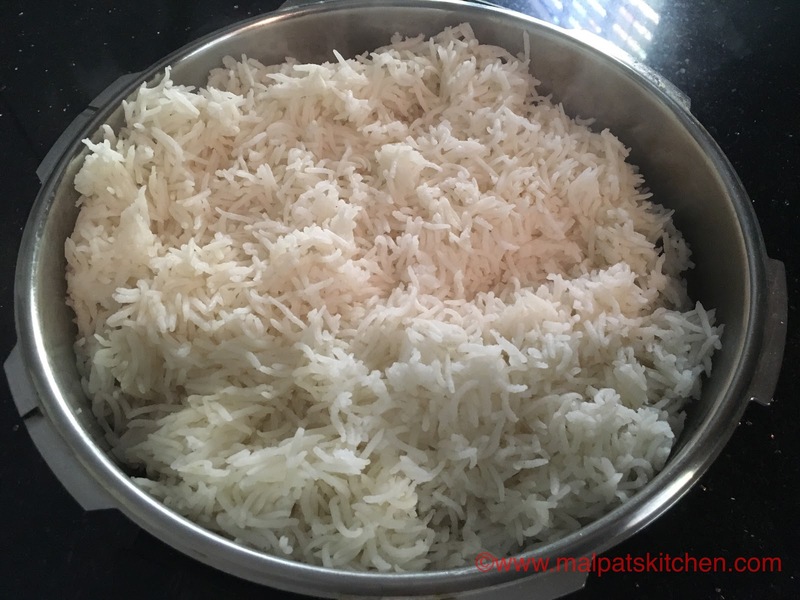 Once again, I am sharing a great but simple of recipe which I learnt during my earlier years in a cooking class. 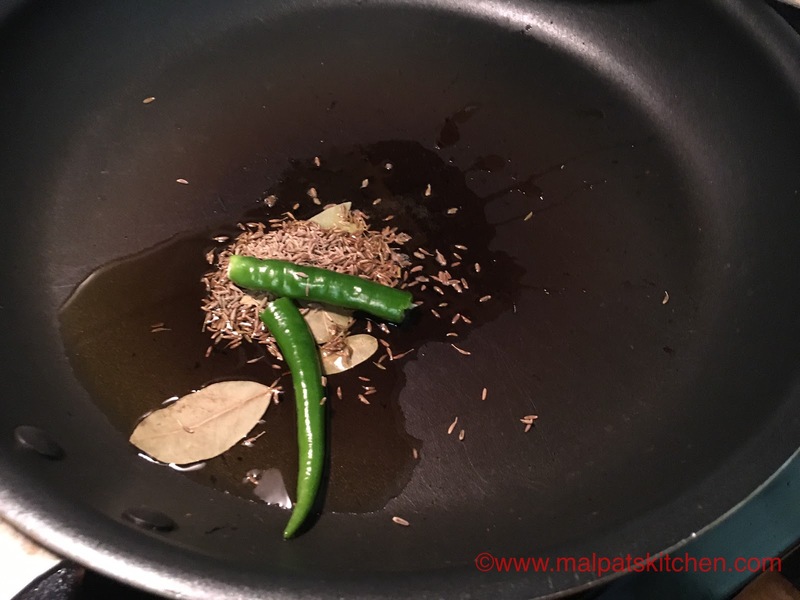 My teacher used to tell me, to let the aroma and flavor of Jeera remain unspoilt by the various spices like cardamom, cloves and cinnamon, and also she used to ask me to omit garlic and ginger, which have a strong flavor. 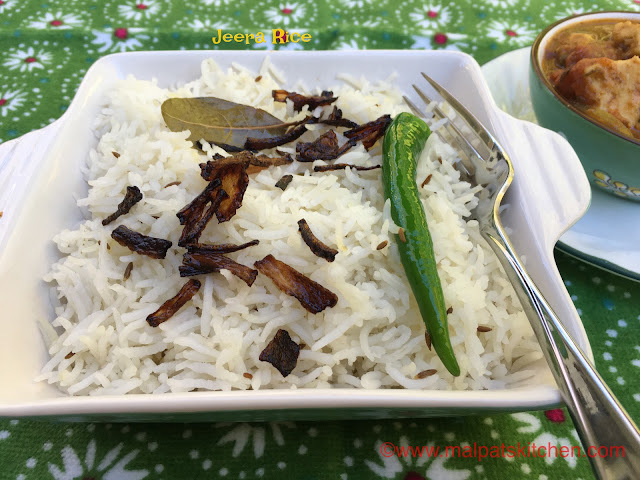 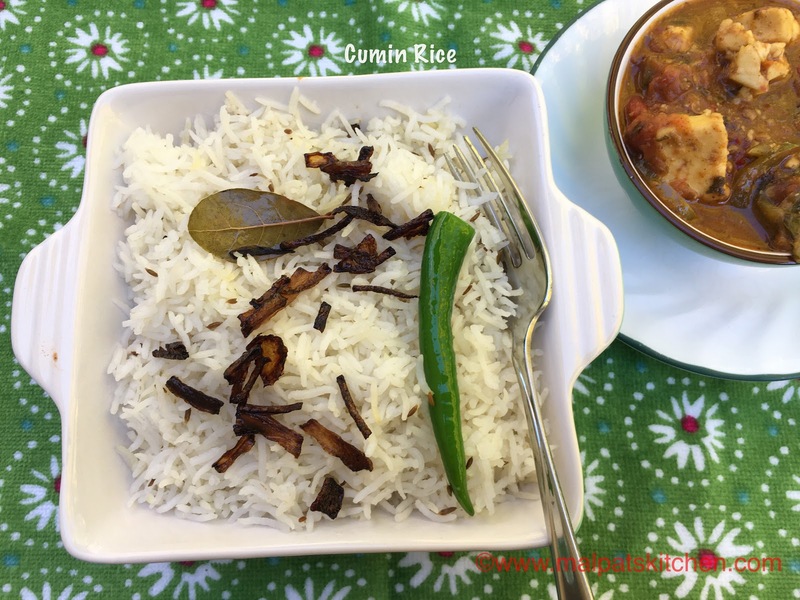 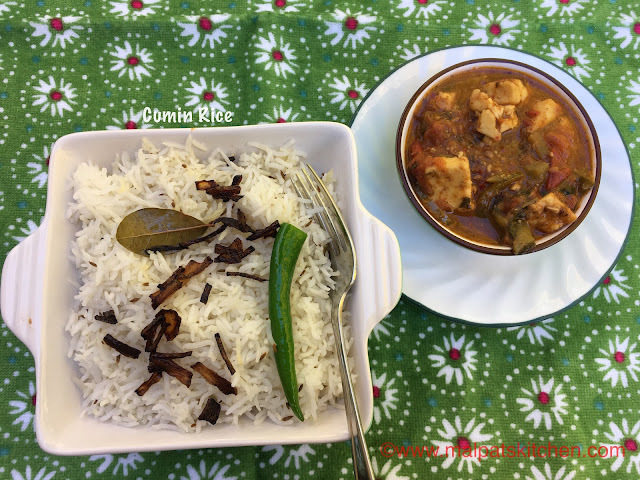 Just one slit green chilli and a bay leaf should be the companions of Jeera in this rice. 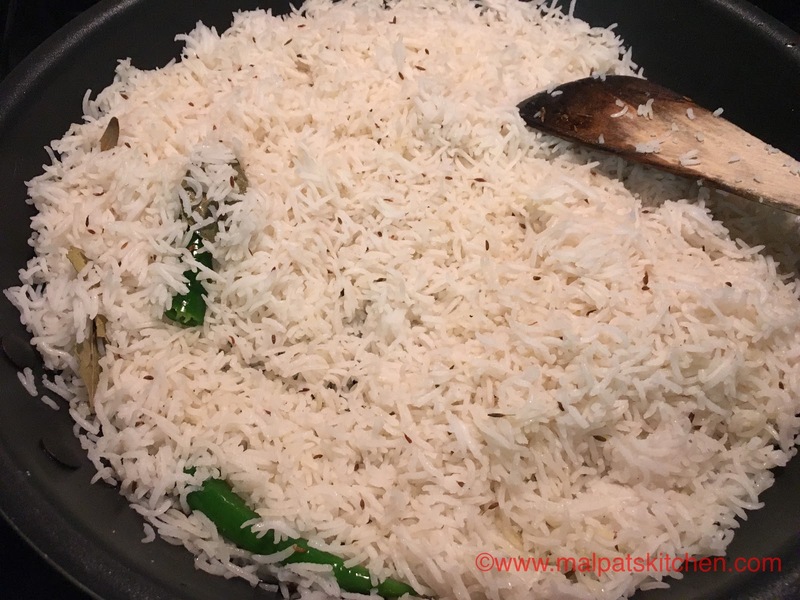 Serve this simple, flavorful rice with kadai paneer or any dish of your choice. 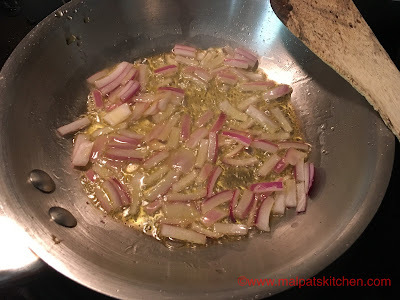 Don't forget to strew the browned onions on top. These add to the taste. 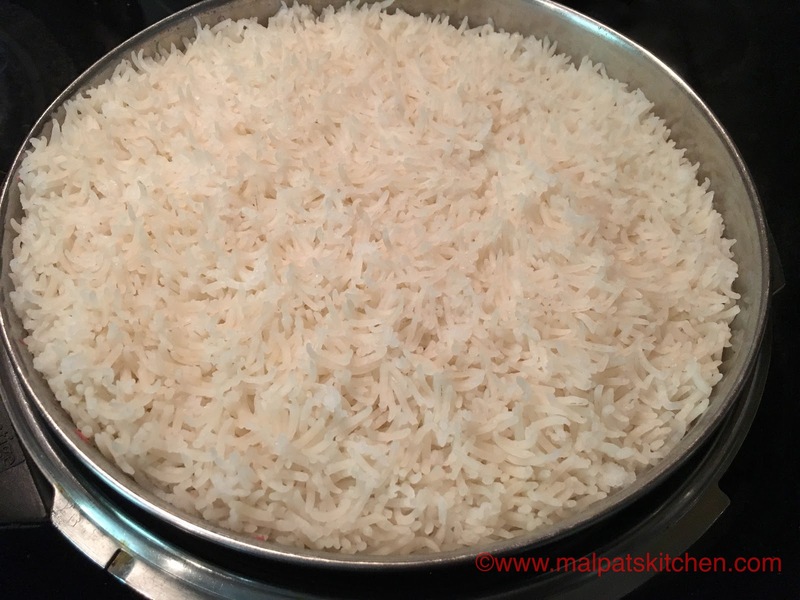 * If you are confident of cooking the rice with whistle on, please go ahead. 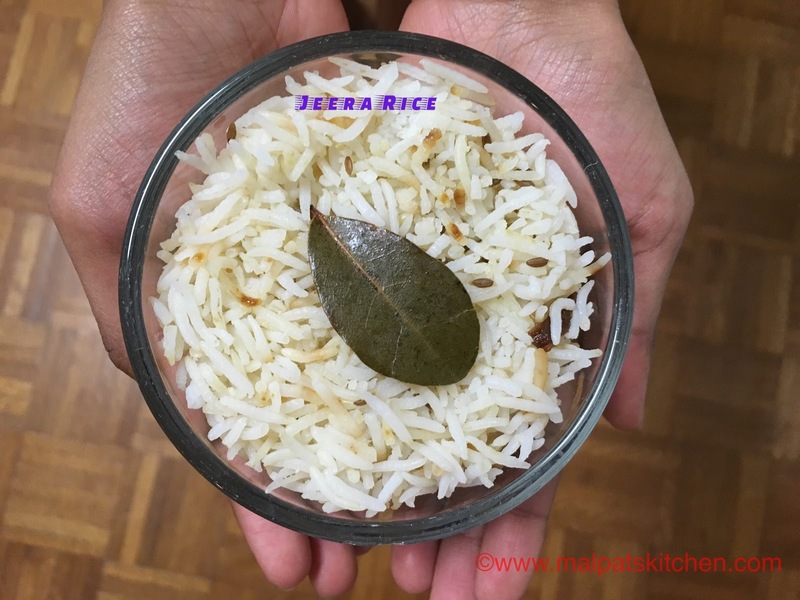 * Rice grains remain separate and look so good with this measurement of water. If you want still softer grains, then please add 2 cups water per cup of rice.